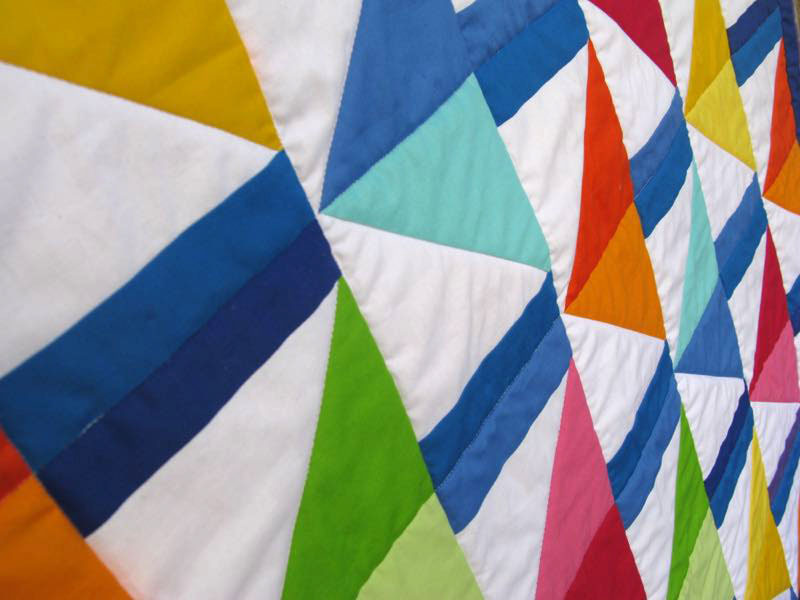 QuiltCon Prepping Fun | OccasionalPiece--Quilt! Posted on February 18, 2016 by Elizabeth E.
Since I will taking a class from Lizzy House on Block Printing (see random sample from web, above), and since I decided I’d had enough of “have-to” sewing, I wanted to just whip up something fun. . . like a tool roll. Here it is, fully loaded. I had some leftover canvas from making bags for grandchildren, doubled that, then stitched on wee pockets for my tools. Oh, plus a flap for rolling over the tools and a tie. I’ve been working backstage on a quilt to bring to the kind folks who asked me to make a further-backstage quilt for their market booth (pictures of that one coming in May). 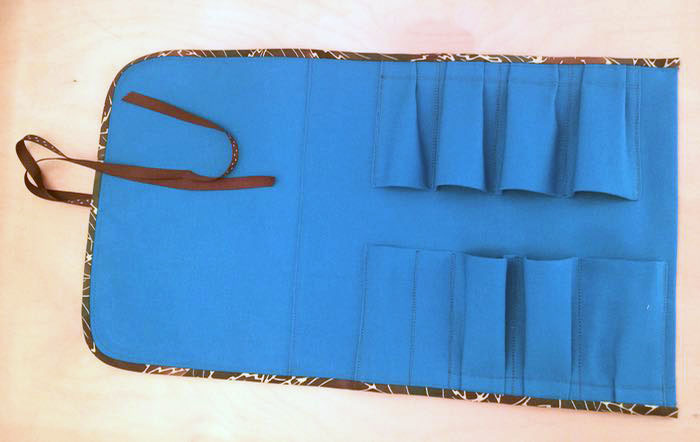 But I wanted to have something for them to show off their fabulous new line of solids, called Painter’s Palette, so I put together this smallish quilt for them to have in their booth at QuiltCon for everyone to put their hands all over to feel the nice hand of the fabrics. I call it Focus, and soon I’ll put up a free pattern on Craftsy for it. Just not this week. I quilted it lightly, because heavy quilting changes the texture of a quilt, sometimes obscuring the “hand” of the fabric. Since it can be hung both ways, I had to construct a rod pocket that could go both ways. See you on the backside of QuiltCon! 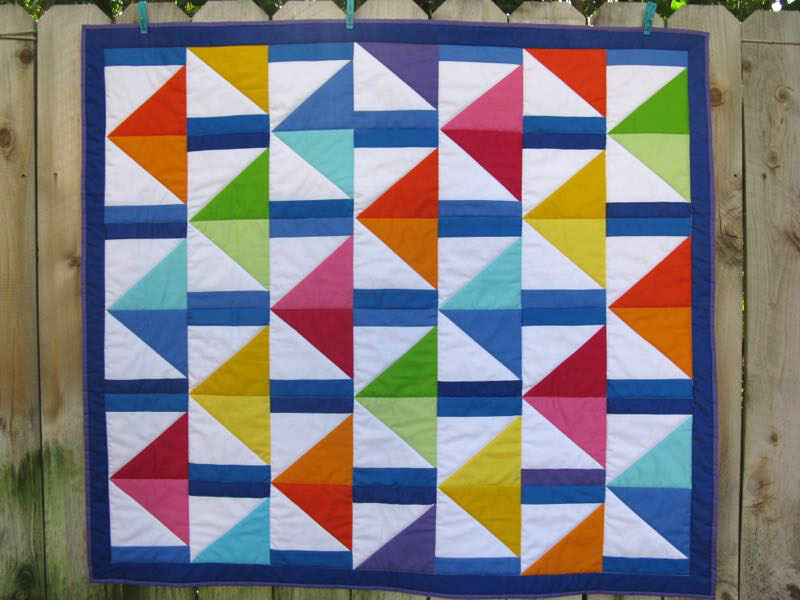 Love the bright colors that this project gives. Your colors are just great. Best of luck at QuiltCon. It looks like you are all ready for you classes with that classy roll. Focus is wonderful. 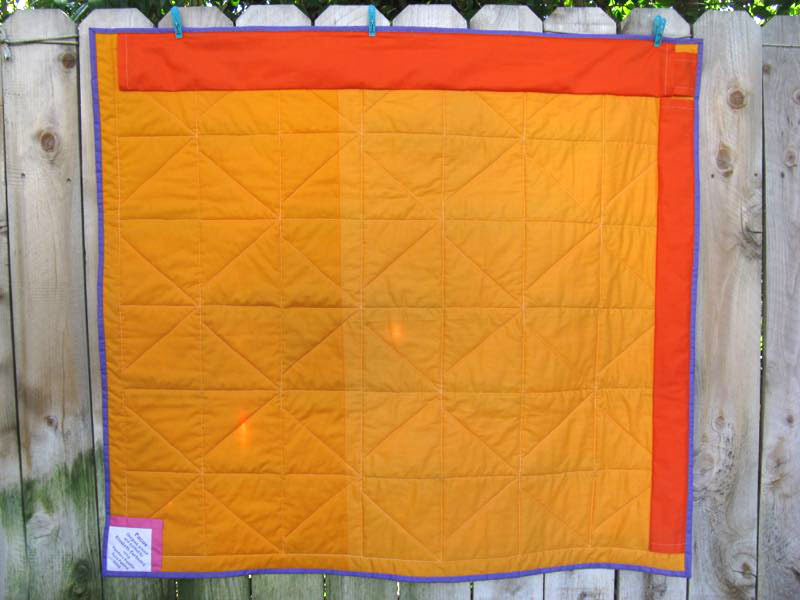 I like the simple quilting you did on it too. 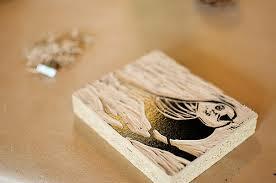 Lucky you to be taking not only a block printing class, but one with Lizzy House – my 2 most favorite things!!!!! Have much fun and tell all, on the “backside”! Have fun with your classes. 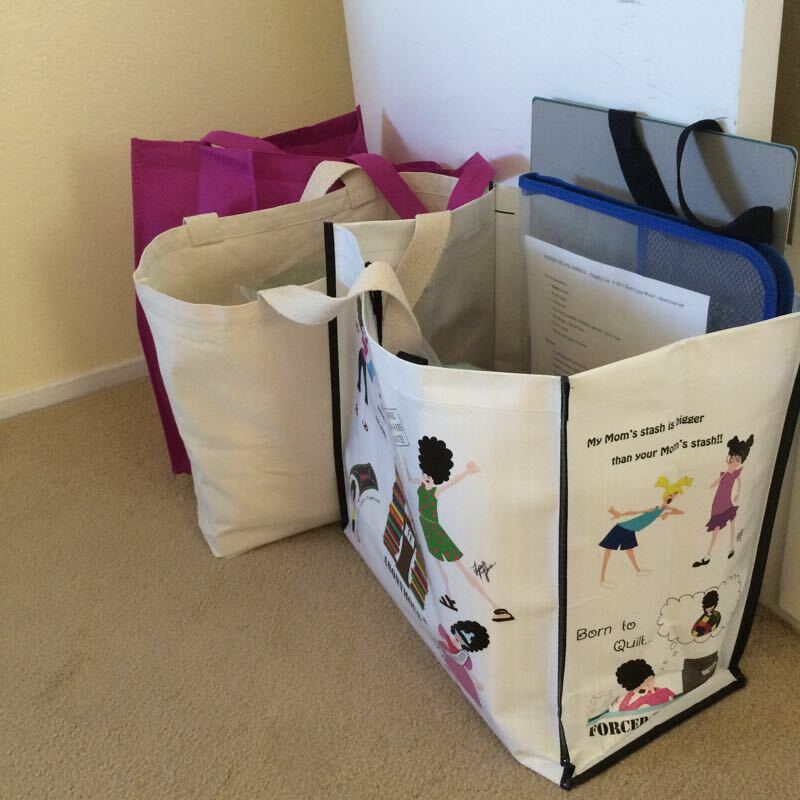 Love your tote bag! Did you.mske it also? 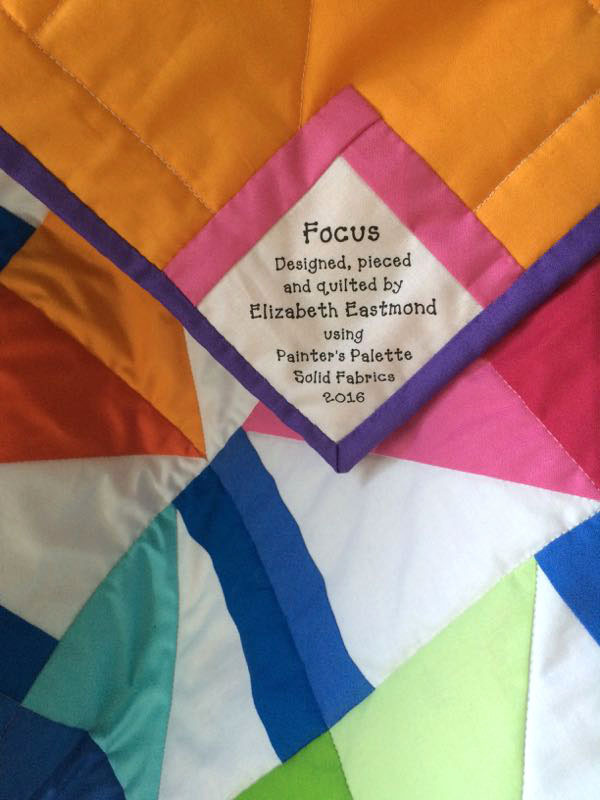 Focus is quite an interesting quilt; I love how its motif changes with orientation change, both logical. Can’t wait for the QC reports. 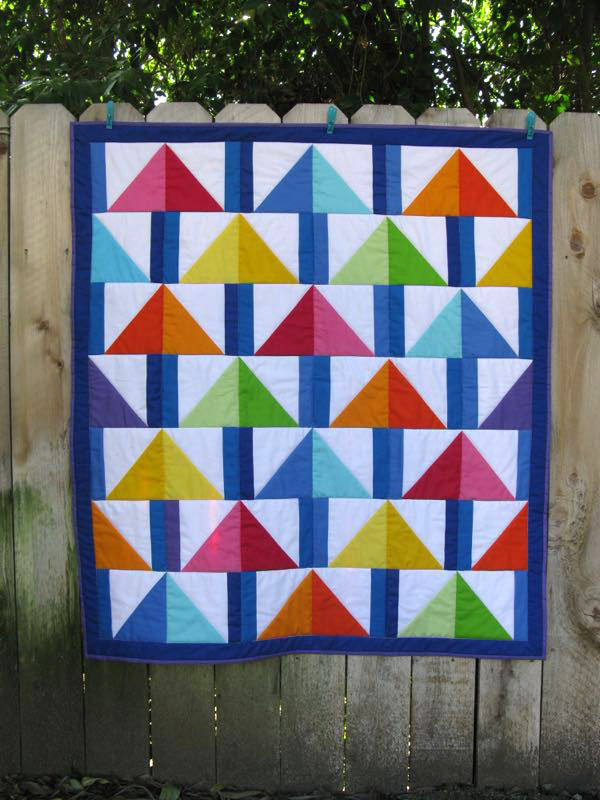 Love the solids quilt! How clever that it can be hung in either direction too! 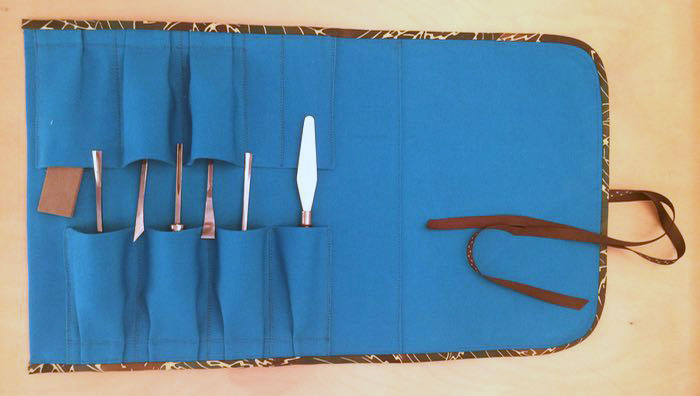 The tool roll is great too! I need something like this for my Languiole cutlery. Have fun at Quiltcon! Wonderful colors and fun pattern – I am curious about your technique for the label – can you tell more about how its done? i LOVED quiltcon!! Duh. If I’d been caught up on my e-mail I wouldn’t have asked dumb questions on IG. Nice of you to do this and anxious to see the bigger reveal! Love this blog – particularly grateful for all the photos from exhibitions especially the super close-ups. I love to get really, really close and see how the stitching is done. Thanks! Pingback: Starry Compass Rose | OccasionalPiece--Quilt!